We are looking Welding Engineer/Welding Consultant to be based in Singapore and would like to enquire your interest. This will be a 6 months contract subject to extension. •Ensure the vendor is competent in welding the above material combination through guidance for first 3 production welding for each type. 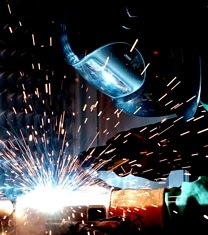 •Clarify doubts and provide guidance to vendor during welding qualification process. Work with clients welding engineering group to get the vendor WPS/PQR approved.